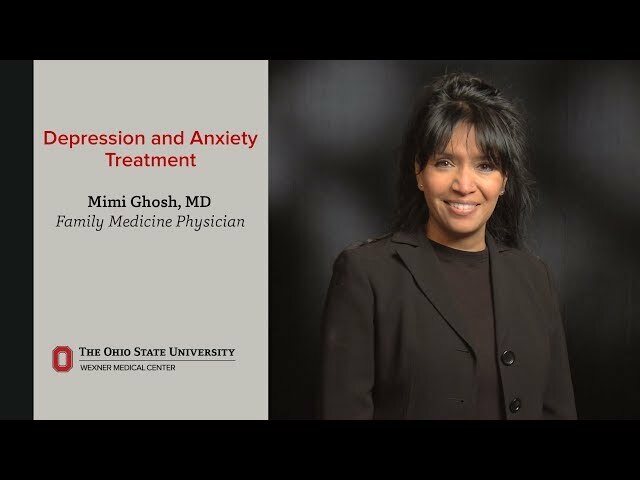 As a family medicine physician at The Ohio State University Wexner Medical Center, I have a strong focus on mental and physical health and wellness. Without mental wellness, physical health can’t be attained as easily. I enjoy establishing a rapport and building relationships with each of my patients, many of whom have been with me for 20 years. My favorite part about working at Ohio State is my team – we have built great relationships over the past twenty years. Also, the mission of Ohio State’s Wexner Medical Center aligns with my core values and continuously supports both my personal and professional growth. When I’m not working, I love spending time with my family. My husband is also a physician, and both of my boys were born while I’ve been here at Ohio State. We are truly a medical family! Everything was clearly explained to me, my nurses and doctor spent plenty of time with me, I didn't have to wait long, and it was easy to schedule an appointment. She is always caring and personable. She honestly cares about all of her patients. Dr. Ghosh was very helpful guiding me in a complex health discussion. I value her knowledge and compassionate approach to my care. I've been a patient of Dr. Mimi Ghosh for 20 years. She is extremely smart and takes great care of me. Again, personable and warm and walked me through referrals that I had requested and followed-up in a timely manner. Has made herself easily accessible for needs and explained how certain appointments meet criteria for health insurance. Very transparent. Very intelligent and understanding of the reason for my office visit. As of 12/20/2018, Dr. Ghosh has reported no relationships with companies or entities.